The universe’s most lethal hunters are stronger, smarter and deadlier than ever before in Shane Black’s explosive reinvention of the Predator series. Having genetically upgraded themselves with DNA from other species, the alien Predators bring the hunt from the outer reaches of space to in the small-town streets of suburbia when a young boy accidentally triggers their return to Earth. Only a ragtag crew of ex-soldiers and an evolutionary biology professor can prevent the end of the human race. MPC Film’s team were led by VFX Supervisors Richard Little and Arundi Asregadoo, creating 500 shots for this fourth movie in the Predator series. 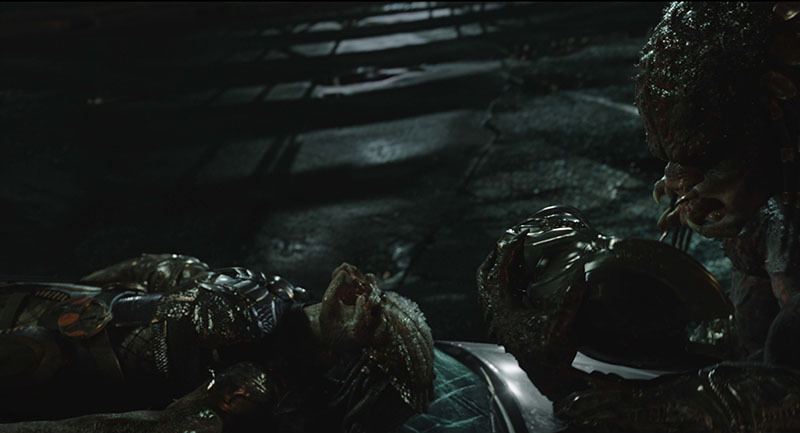 The majority of the work required hero animation for the Upgraded Predator and additional work included the Predator Dogs, FX effects and a CG swamp environment. 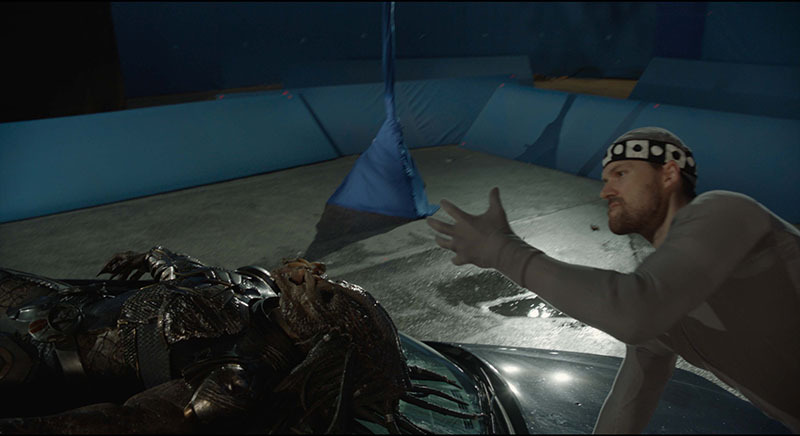 MPC Film’s character lab department modelled, sculpted and textured the Upgrade and Predator Dogs to a high level of detail, allowing the director to have flexibility to view close ups, if needed. Technical animation applied movement to the muscle system and added the flowing motion to the dreadlocks on all of the film’s hero alien characters, an integral part of the Predator’s aesthetic in the franchise. MPC’s artists also worked on the scene where the Upgrade’s dogs are first encountered, sent out to hunt the Predator. The sequence was shot on a blue screen stage and on location. The digital environments team built a 360-degree baseball field matching the location shoot, from reference photography. Creating simple geometry and re-projecting the textures helped create a realistic environment. Once the Upgrade tracks down the ‘fugitive’ Predator the fight begins. To create the scene MPC used a mixture of the live action Predator, intercut with the full CG Predator. The battle culminates with the Upgrade ripping the head and spine away from the body of the Fugitive. This shot was big challenge for the FX and technical animation team who also added green Predator blood into the mix, amplifying the gore factor. In the Hunt Scene, the band of misfit heroes traps the Upgrade and sets the ultimate hunter alight. MPC Film said the sequence was technically challenging for the animation, lighting and FX teams who worked very closely to create a convincing Upgrade, appearing as if on fire. For the final battle, MPC Film’s digital environments artists created a full CG swamp where the Upgrade’s ship crash-lands. The team was tasked with matching the set and creating a 360-degree CG set extension with FX water.